Welcome to the Pendleton. Built as a tycoon’s dream home in the 1880s and converted to luxury condominiums not quite a century later, the Gilded Age palace at the summit of Shadow Hill is a sanctuary for its fortunate residents. Scant traces remain of the episodes of madness, suicide, mass murder—and whispers of things far worse—that have scarred its grandeur almost from the beginning. But now inexplicable shadows caper across walls, security cameras relay impossible images, phantom voices mutter in strange tongues, not-quite-human figures lurk in the basement, elevators plunge into unknown depths. With each passing hour a terrifying certainty grows: Whatever drove the Pendleton’s past occupants to their unspeakable fates is at work again. 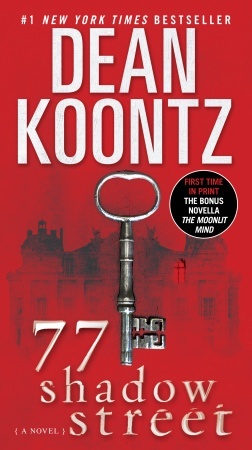 And as nightmare visions become real, as a deadly tide begins to engulf them, the people at 77 Shadow Street will find the key to humanity’s future . . . if they can survive to use it.